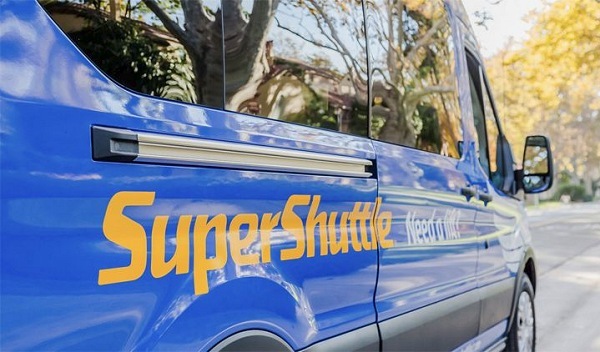 SuperShuttle has discontinued its shared-ride van service in Atlanta. The company, the victim of airport politics and overbidding on a restrictive contract, could not sustain a profitable level of business on its service to downtown Atlanta, Midtown and Buckhead, especially in the face of new competition from Uber and Lyft. Both ride-sharing companies charge less for airport rides than traditional cab companies, and Uber has an even cheaper shared-ride option called UberPool. The company, which operates in dozens of airports using its hallmark blue vans, lasted just over two years in Atlanta after launching services in November 2014. The shared-ride shuttle contract from downtown, Midtown and Buckhead to Hartsfield-Jackson International Airport was troubled for years before SuperShuttle arrived. A previous operator of the central business district airport shuttles shut down, then the interim operator faced criticism of political cronyism. Later, a shuttle crash involving a new operator led the airport to rebid the contract. SuperShuttle ended up winning the contract, launching with fares of $16.50 for a shared-ride van from downtown, $18.50 from Midtown and $20.50 from Buckhead to the airport. It brought with it the promise of a brand known across the country and a more sophisticated booking system to make the shuttle service work. But that apparently wasn’t enough to make the contract viable. SuperShuttle had asked for concessions from airport officials. But the airport declined to grant those requests. One request SuperShuttle made was to reduce the fees it pays to the airport annually. SuperShuttle had submitted a bid of $455,000 for Hartsfield-Jackson’s shared-ride shuttle contract. That was about three times the minimum bid and $184,000 more than the second-highest bid. A SuperShuttle executive said at the time that the company could operate profitable with its bid amount, because it typically charges 50 or 60 percent of a cab fare. But Atlanta city council member C.T. Martin, who now chairs the transportation committee, warned at the time that the shared-ride shuttle contract is “not a profit-making scenario,” targeting the market in between the convenience of cabs or limos and the affordability of MARTA at $2.50 a ride. And with new competition from mobile app-driven ride-share services like Uber and Lyft, “it’s going to be even worse.” That could prompt the winning bidder to raise concerns about contract terms down the road, he said. Miguel Southwell, then the manager of Hartsfield-Jackson, was more optimistic back then. “Shared-ride shuttles operate profitably across the country,” he said at the time.